The 1997-built Comco-Ikarus C42 Cyclone c/n 9710-6076 was registered PH-3A3 in the Netherlands on 10 December 1997. 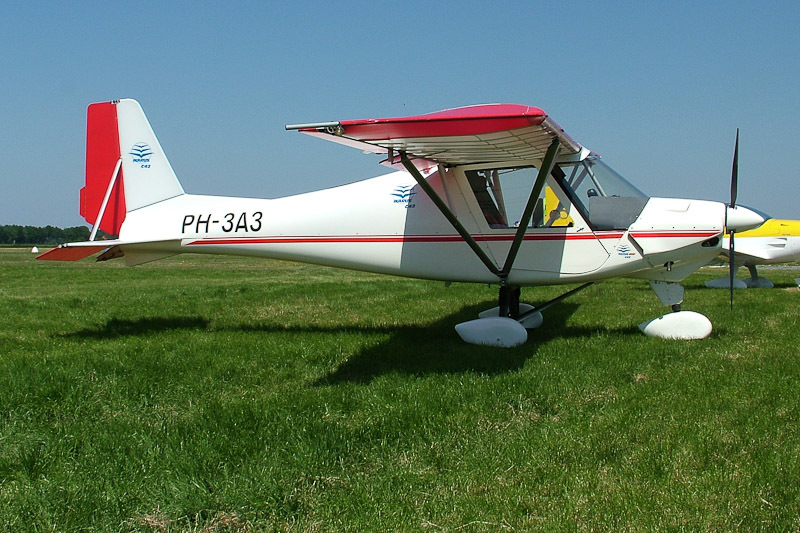 The airframe is powered by a Rotax 912 UL DCDI engine. Comco-Ikarus C42 Cyclone PH-3A3 was photographed at the MLA-aerodrome Stadskanaal in Vledderveen, the Netherlands. On 14 January 2012, the Ultralight aircraft was damaged beyond repair in a fatal crash at Mussel close to the MLA-aerodrome. Registration PH-3A3 was cancelled on 17 January 2012.